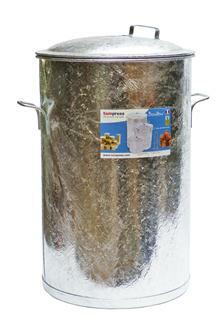 Electric jar sterilisers, gas jar boilers in galvanised steel. 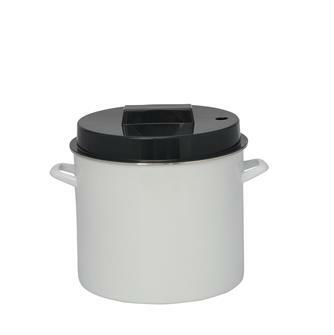 Sterilising preserves is easy with our large range of jar sterilisers for sterilising your jars of preserves. 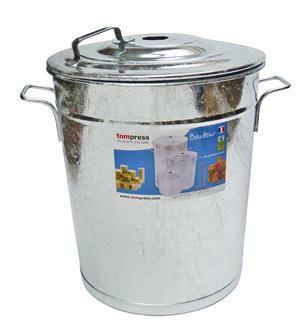 A steriliser with a tap can also be used to pasteurise fruit juices. 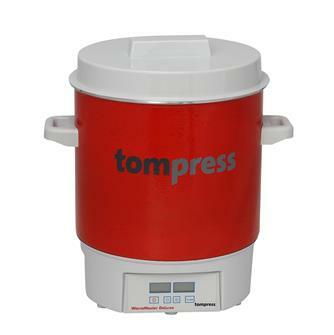 Digital enamelled electric steriliser - 27 litres - with pouring tap and timer - 1,800W. Up to fourteen 1 litre jars. Ideal for pasteurising juice or keeping beverages hot. Enamelled vat for bain-marie cooking for the Tom Press electric steriliser. Galvanised 24 jar gas steriliser by Guillouard. 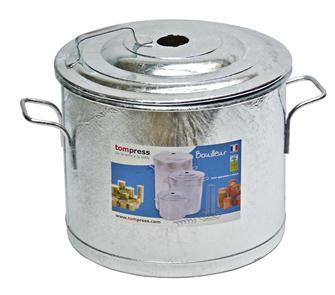 Digital jar steriliser in stainless steel - 27 litres - with timer - 1,800W. Up to fourteen 1 litre jars. 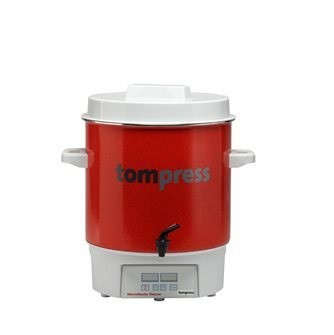 Enamelled electric steriliser- 27 litres 1,800 W - with 2 hour timer. Up to fourteen 1 litre jars. 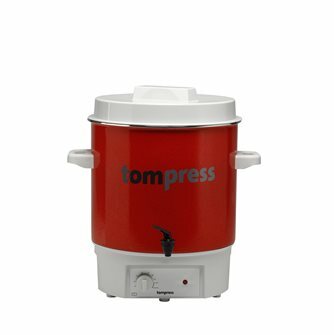 Enamelled digital electric steriliser - 27 litres - with timer - 1,800W. Up to fourteen 1 litre jars. 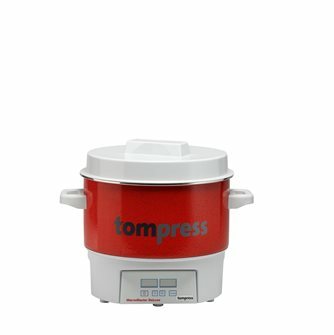 Digital enamelled steriliser for 7 jars - 16 litres - 1,800 W - with thermostat and timer. 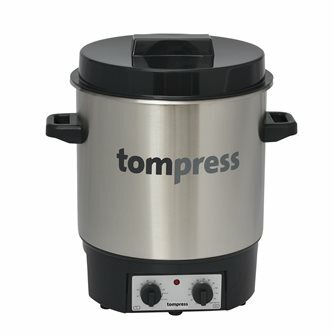 32 cm bottom grid for Tom Press electric steriliser. 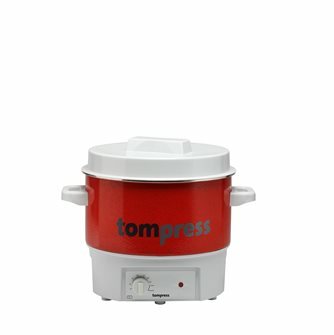 Enamelled electric steriliser - 27 litres - 1,800 W with pouring tap. Up to fourteen 1 litre jars. 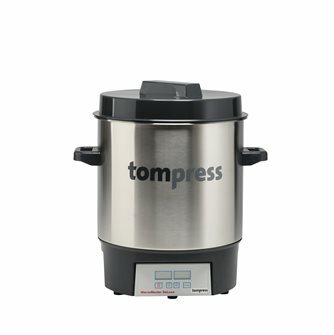 Ideal for pasteurising juice or keeping beverages hot. 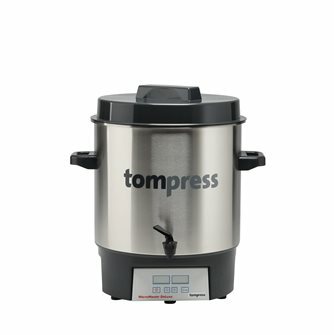 Stainless steel digital steriliser for jars - 27 litres - timer, and tap - 1,800W.Up to fourteen 1 litre jars. Ideal for pasteurising juice or keeping beverages hot. 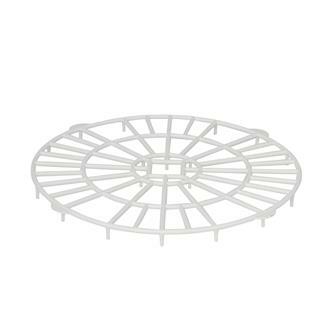 Galvanised Guillouard steriliser for 5 jars. Works with gas. 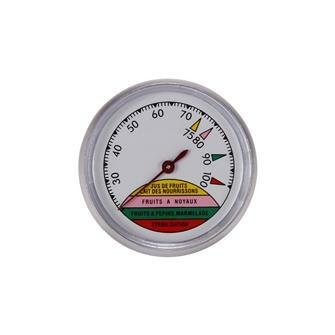 Sterilisation thermometer for 5, 11 and 24 jar sterilisers, metal sheath. Electric steriliser for jars in stainless steel - 27 litres - with pouring tap. 1,800W. Up to fourteen 1 litre jars. Ideal for sterilising juice or keeping drinks hot. 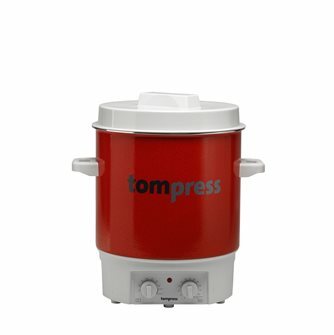 Juicer accessory for the Tom Press electric steriliser. In enamelled steel and plastic. 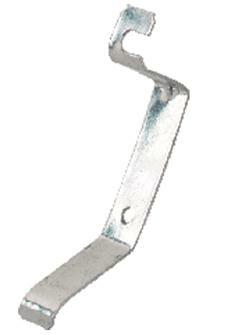 Galvanised spring hook for steriliser. Set of 6. 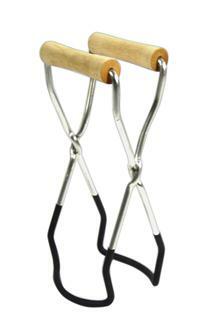 Jar lifter, allows you to take jars out of a steriliser without burning yourself. 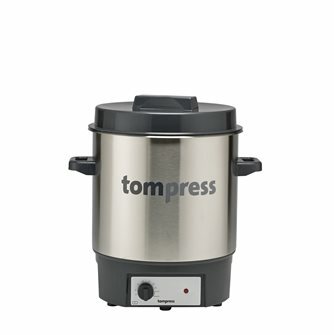 Electric steriliser for jars in stainless steel - 27 litres - timer, and tap. 1 800W. Up to fourteen 1 litre jars. 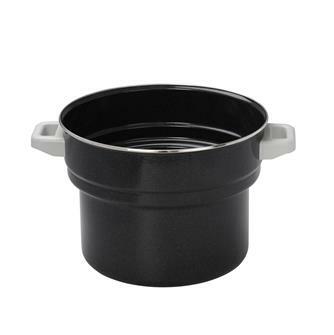 Ideal for pasteurising juice or keeping beverages hot. 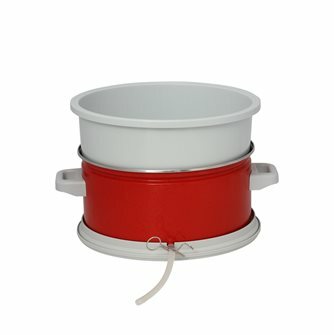 Enamelled electric steriliser for 7 jars, 16 litres, 1800 W. Double layer enamel. German manufacture. Galvanised 11 jar gas steriliser by Guillouard. 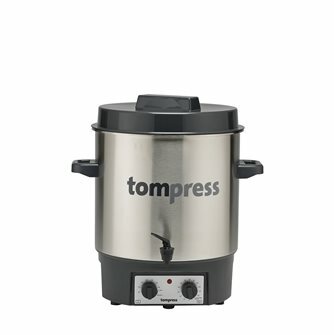 Enamelled 27 litre electric steriliser for all hobs including induction hobs. Up to fourteen 1 litre jars. 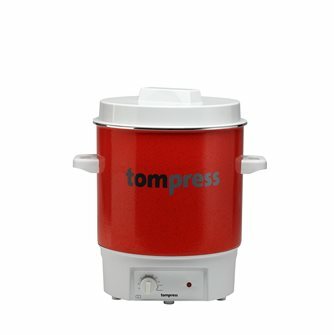 Enamelled electric steriliser - 27 litres - 1,800 W. Up to fourteen 1 litre jars.